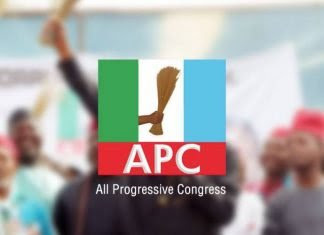 The Director General (DG) of the campaign organisation of the All Progressives Congress (APC), Mr. Monday Aighobali, was abducted on Tuesday by an unknown gunmen, reveales candidate for the Ovia Federal Constituency of Edo, Mr Dennis Idahosa. He said the director general was kidnapped shortly after a campaign rally at Ofosu. “I was at the rally at Ofosu with him and left shortly after for other places in continuation of my campaign. “He was left behind to sort some things out after which he was to join us at another campaign location afterwards,” he narrated. Idahosa alleged that the abduction was politically motivated as Aighobahi has a strong hold of the ward. “Politically, Aighobahi has a strong hold of the ward and my opponent knows this. I am not out to see bloodshed; so I will urge all to go about the electioneering in a very peaceful way. Idahosa, however, said he remained resolute in his quest to win the seat for the Ovia Federal Constituency in the House of Representatives.